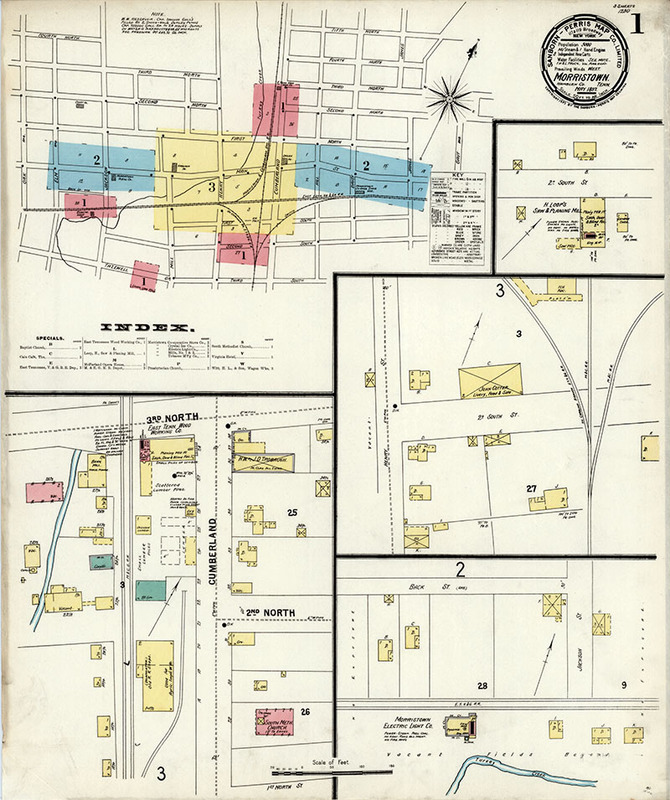 Maps of the Streets of Morristown, 1897; a reproduction of a set of three Sanborn maps at The Library of Congress showing streets, businesses and other items of interest; maps are printed approximately 17" x 20" except as noted. 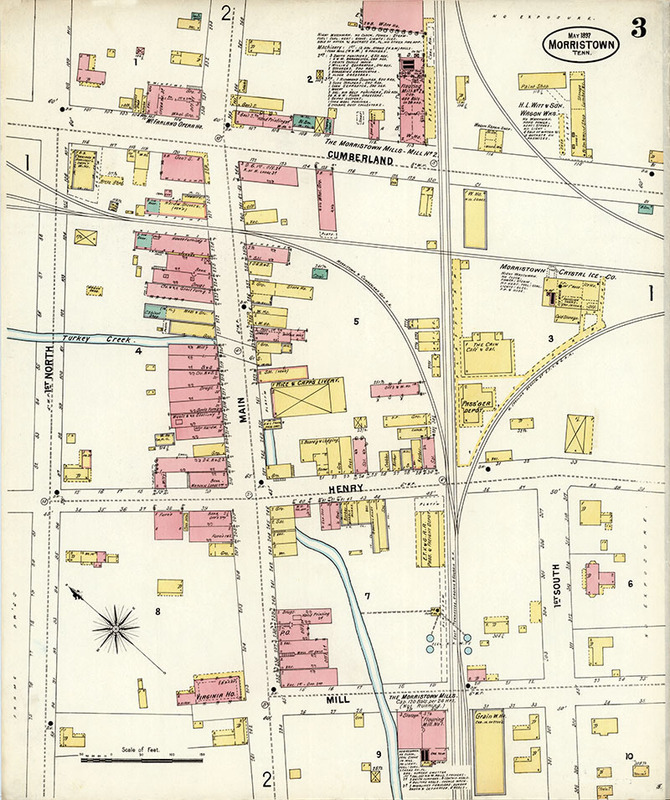 Map of the Streets of Morristown, 1897; Page 1 of 3. 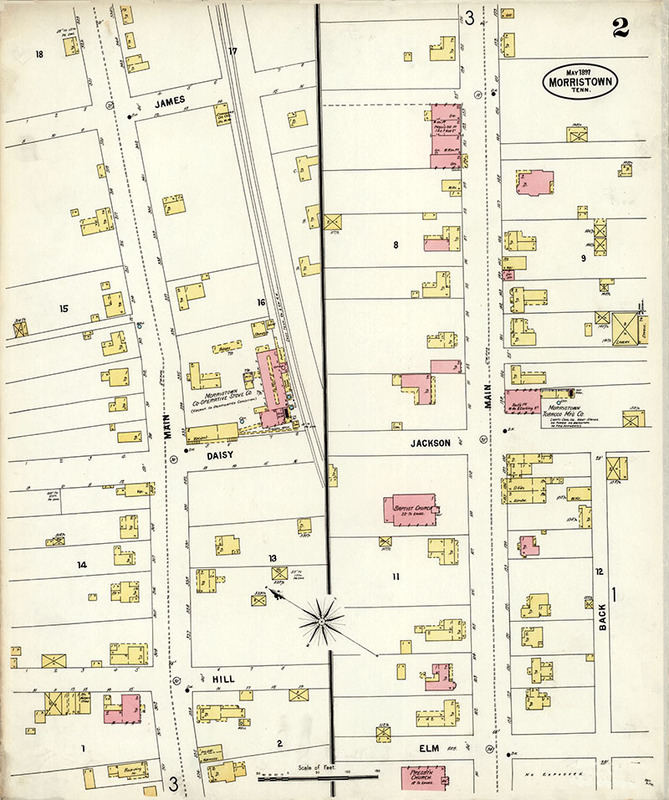 Map of the Streets of Morristown, 1897; Page 2 of 3. Map of the Streets of Morristown, 1897; Page 3 of 3.